Following Monday’s mysterious blast at a suspected Iranian nuclear facility east of Tehran, satellite imagery obtained by Israel’s Channel 2 and Israel Defense magazine Wednesday claimed to show extensive damage at the site. Images of the facility taken Tuesday, a day after the reported explosion which killed at least two people at the secretive Parchin plant, showed that several buildings at the location sustained heavy damage and some even collapsed, Channel 2 reported. 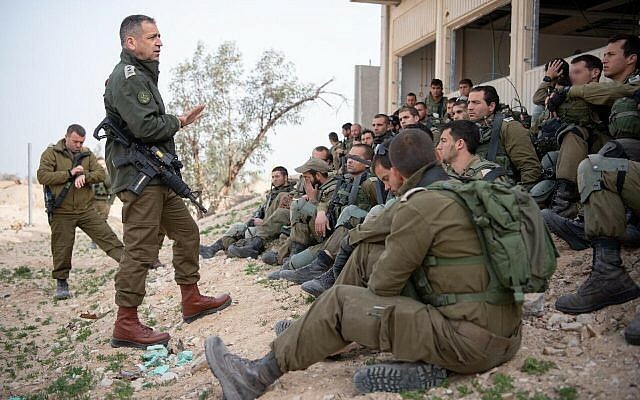 The photos “clearly show damage consistent with an attack against bunkers in a central locality within the military research complex at the Parchin military compound,” Israel Defense wrote. The images were taken by the French satellite Pleiades the morning following the blast, the source of which remains unknown. 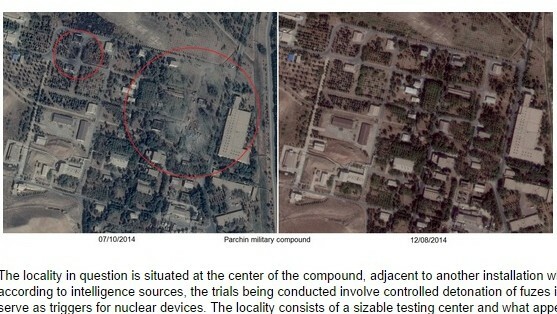 Screenshot from Israel Defense showing satellite images of the Parchin site east of Tehran before and after Monday’s explosion at the suspected nuclear facility on October 8, 2014. Iran’s state news agency IRNA reported Monday that the explosion occurred at a defense ministry plant east of Tehran for the production of explosives. According to ISNA, the blast was so powerful it shattered windows up to 12 kilometers away and the glare from the explosion lit up the night sky. 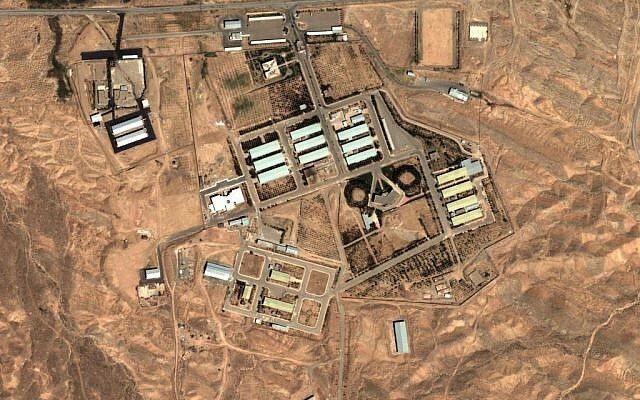 The base lies at the center of allegations of past Iranian research into sophisticated explosives that can be used to detonate a nuclear warhead. 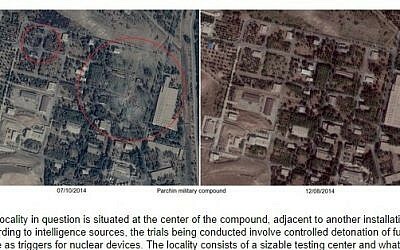 Tehran, which has denied inspectors access to Parchin since 2005, insists its nuclear program is for purely civilian uses. Israel and the West fear Iran is seeking to attain nuclear weapons. 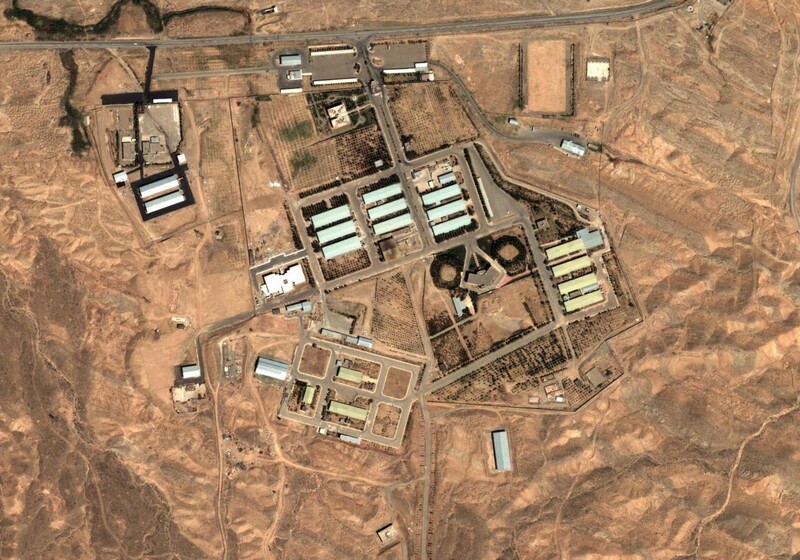 In August Iran reiterated that it will not allow IAEA inspectors to visit the site.